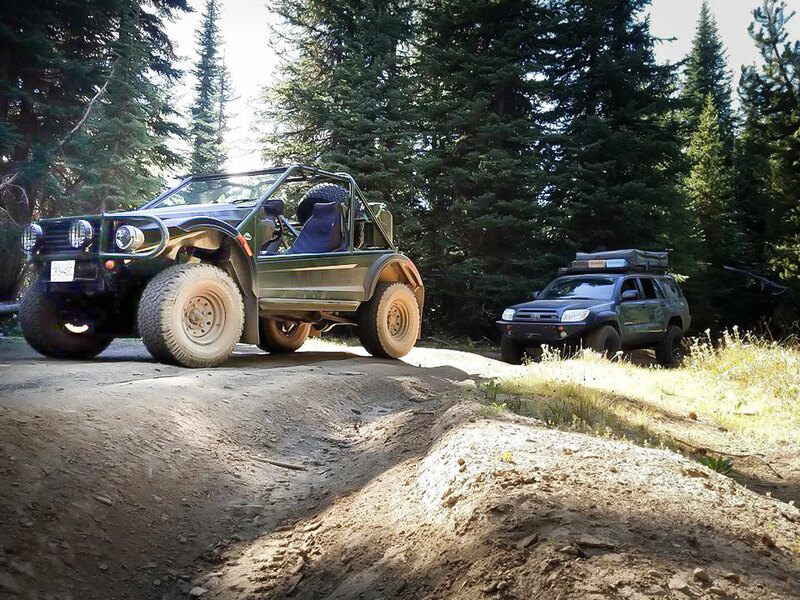 It’s not often we go somewhere and see a vehicle we cannot easily identify, but such was the case at the 2016 NW Overland Rally. Dana and Joe from Mule Expedition Outfitters in Issaquah, WA had told me before the event they were bringing something new that year; I knew it was a vehicle of some sort. Much like us, they have a fondness for unique rigs, such as their 1979 Suzuki SJ81, and their VW Syncro van, so I was eager to check out this mystery vehicle. Dana and I made our way over to their vendor booth. She led me over to what looked like a really big side x side, or maybe some sort of crazy dune buggy thing. It was undeniably awesome. But, uh, what the heck is it? “It’s a Traka,” she said. “A Tracker? This is a Geo Tracker?” I asked, thinking Dana had developed a sudden Bostonian accent. 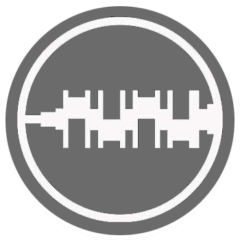 No, it’s not a Tracker, it’s a Traka. The vehicle is based on a short-wheelbase 1992 Range Rover Classic, and is a do-it-yourself conversion sold in the UK. I think it’s fair to assume Trakas are extremely rare in the U.S. In fact, this might be the only one. Truth be told, Joe and Dana were originally looking for a side x side, but the Traka caught their eye on craigslist. I mean, how couldn’t it? 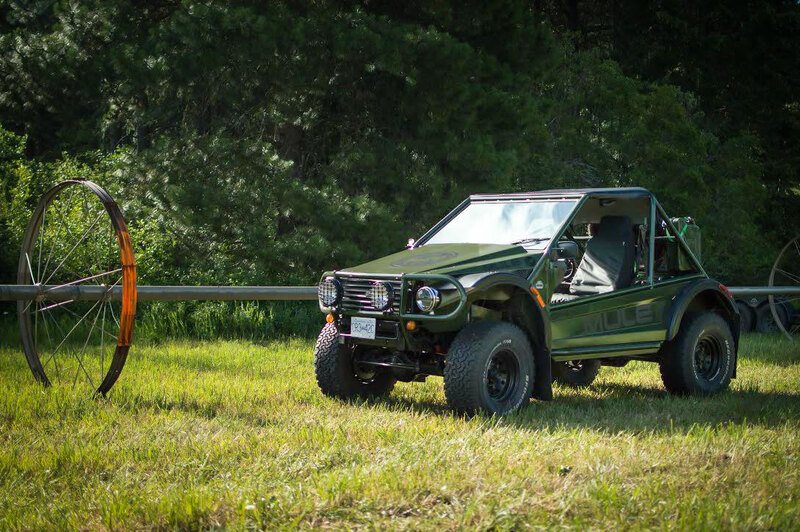 “[Side x Sides] can be had for about $20,000 and aren’t street legal in many places. We came across this on craigslist and realized we could have something [Polaris] Razorish for about $7,000 less and street legal!” said Dana. 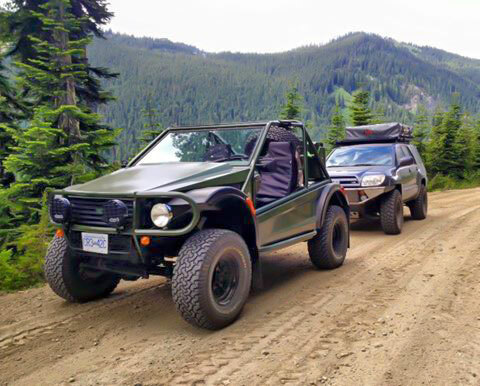 This Traka Badger conversion, which they lovingly call “Burrito” was imported from a former Land Rover mechanic and Dakar Rally finisher; he brought it with him from the UK when he moved to Canada. Joe has done a fair deal of restoration work himself, and can generally pick out shabby craftsmanship and cut-corners. But he looked the Traka over and every aspect of the rig was either replaced or rebuilt. By the way, the seller was Steve Rogers, who has raced modified Land Rovers in the famous Dakar Rally, and knew a thing or two about setting up a Rover. Being a Range Rover, the Traka is fitted with the company’s 3.9-liter V8 engine and makes 180 hp and 227 ft/lbs. of torque. It rolls on 33×12.50×15 BFGoodrich A/T Tires. And since it’s on a Range Rover chassis, it has all of its running gear, which includes solid front and rear axles and coil springs all around. The Traka’s body is both lightweight and ideal for off-road use, since it has very short overhangs for good approach and departure angles. You can see it has a built-in roll cage, integrated bull bar, and a host of other modifications. According to pretty much the only source for Traka info I could find, the conversion all just bolts together. 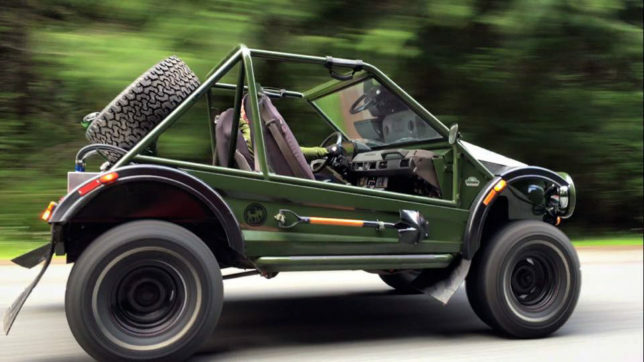 When it’s all done, the Traka has 17″ of ground clearance, is 12′ long, 6′ high, and weighs 3,528 lbs. Joe and Dana added LED headlights, seat belts, new fuel necks on the fuel cells, and a soft top from a Jeep TJ, that happens to fit pretty well right out of the box. 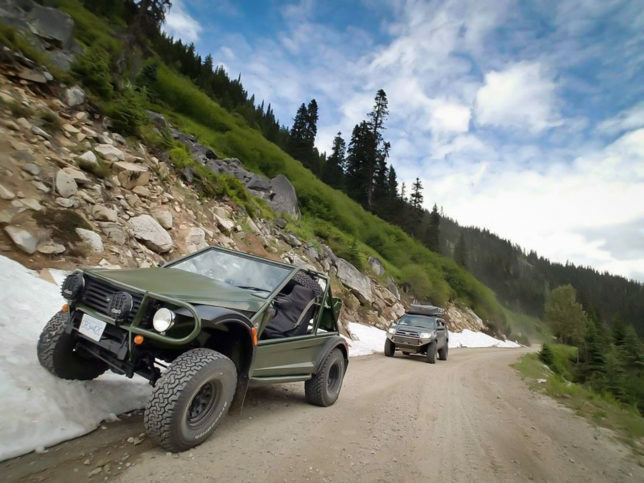 Thus far, Joe and Dana have done sections of the Washington Backcountry Discovery Route (WBDR), but there are plenty more adventures to come. 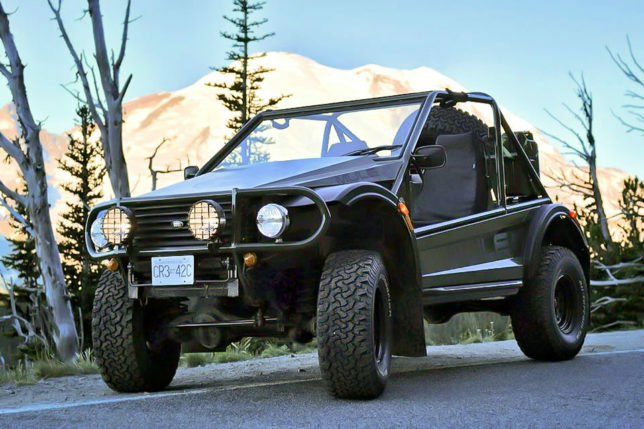 Other future plans for Burrito include Fox or King remote reservoir shocks, racing seats, four-point harnesses, removing the carpet, upgrading to BFGoodrich MTR tires, and some custom aluminum bits here and there. There is no doubt that Burrito the Traka is a super-unique adventuremobile, and we look forward to seeing it again at the 2017 NW Overland Rally in Plain, WA this year. And if you’re looking for some great gear for your own adventuremobile, be sure to check out their shop’s website at dasmule.com.